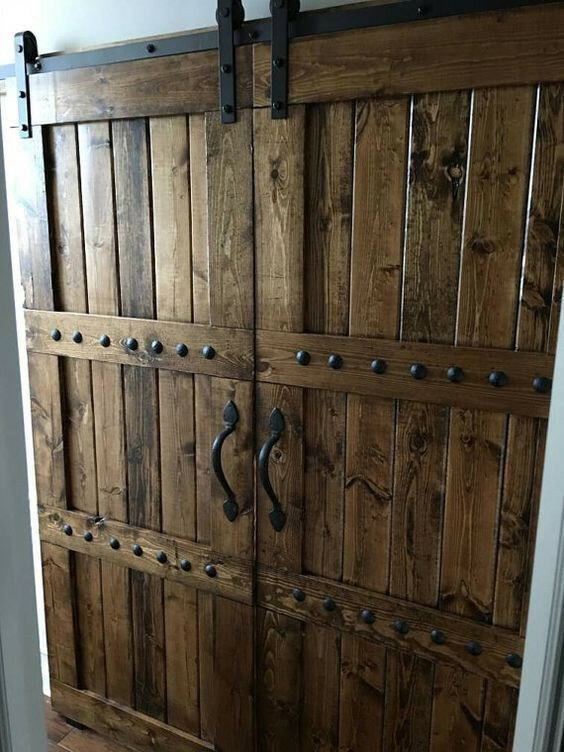 Exterior Shutters and Barn Doors? ​​​​Do you stain or paint or distress my shutters? ​We can paint, stain and or distress them if you can provide us with a color of your choice. Always look for exterior stains or paint with added primer. ​​​​Can you install my shutters or barn doors? Yes, if you are local in the surrounding OKC area. If I want decorative hardware, can you add that? Yes, for a small additional cost for instillation we can do that for you. 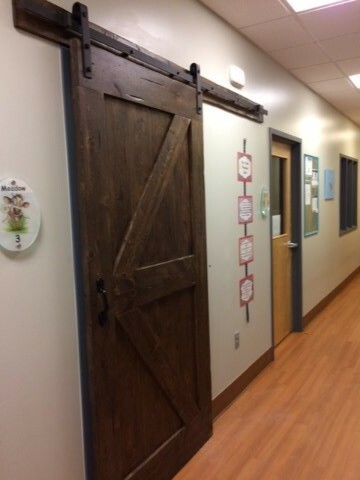 ​​​​​​If I buy barn doors at a local store or on line, can you install? Sorry for this but No. 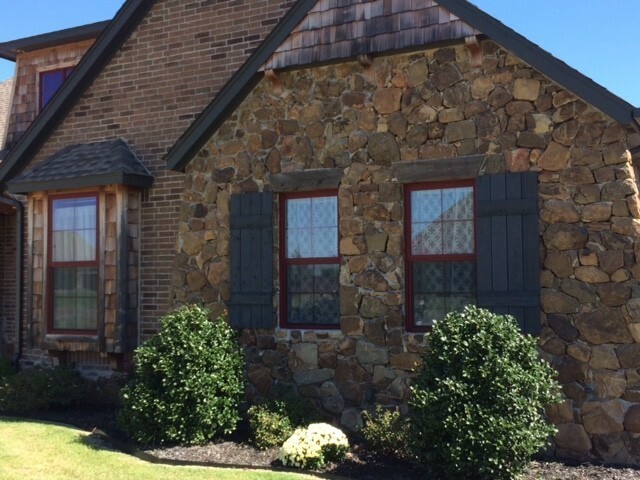 We cannot warrantee these installs because they warp due to their thin veneer. We replace them often. And installing these yourself can be done but word to the wise, they aren't easy. We are most often challenged by the out of square openings, jams, headers, etc. as well as matching your stain or paint. Once you buy a door, the work just begins. 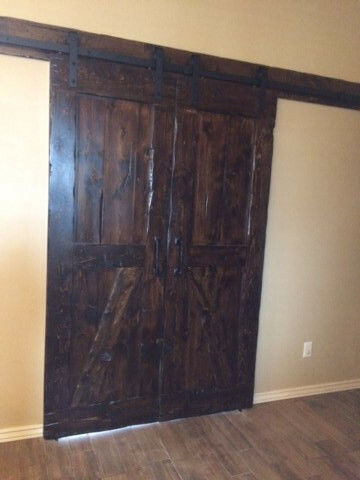 ​​​​​Can I purchase your shutters or barn doors and install them myself. Yes you can. 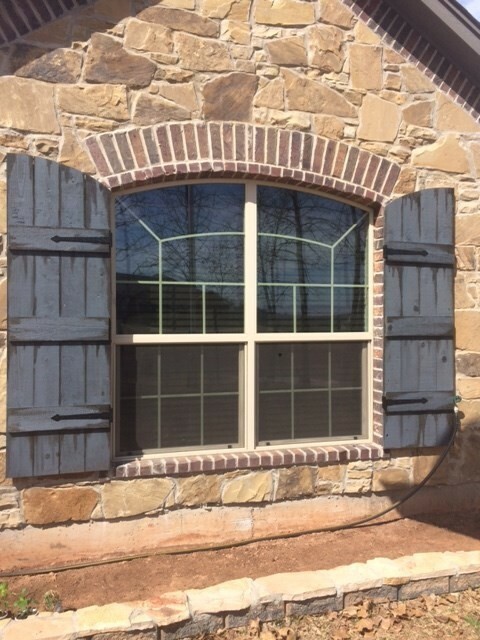 But you need to be somewhat handy for shutters (drilling into brick or stone) and quite handy with barn doors. Also, barn doors rarely pose no challenges. Every opening, floor, header, etc. is usually not square and it will show when finished. It still takes us a couple of hours if all goes well. 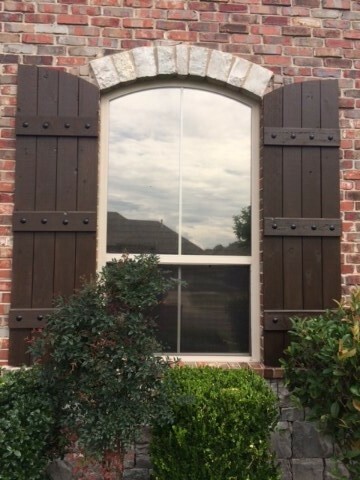 ​​What else besides shutters do you make? 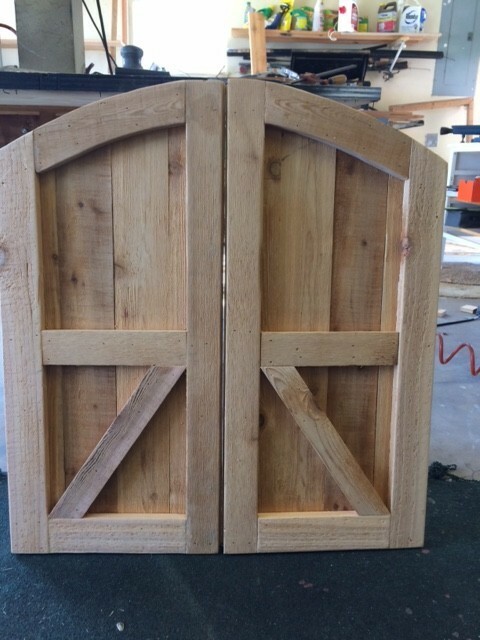 We can make and install cedar corbels, window boxes, Bahama awnings, and we make and install interior sliding barn doors (see barn door tab at top). We also panel interior/exterior walls with cedar or pine.